The Ardara show is back! The Ardara Show’s return on Saturday August 13th, after a break of a year, is expected to attract the exhibitor and visitor numbers of two years ago. Staged in a new area at Sandfield, made available by the National Parks and Wildlife Service, the livestock, marquee and afternoon entertainment programme combine in adjoining areas. With championship qualifiers in the 60 plus cattle, sheep, horse and pony classes, entries are expected from a wide area. Qualifiers include the All-Ireland Suckler Heifer Championship and the final of the Osmonds Ecofleece Ewe Lamb Championship. Niall Heena, show chairman, said: “Our livestock has always been particularly strong and we expect that this year will see a similar standard. Once again our classes are supported by animal feed producers.” The show’s total prize money for all livestock and marquee classes approaches €10,000. The afternoon programme brings together Star Wars characters and sees the return of the spectacular Trialstar motorcycle display team. Star Wars fans will be able to meet Darth Vader and Storm Troopers as well as Atomic, a 8 foot tall talking robot. “We feel sure that both Star Wars and Trialstar will be a huge attraction to both children and parents during the afternoon entertainment programme,” said show secretary Tracey McGill. The Trialstar team is also expected to have mini electric motorcycles for children to ride. 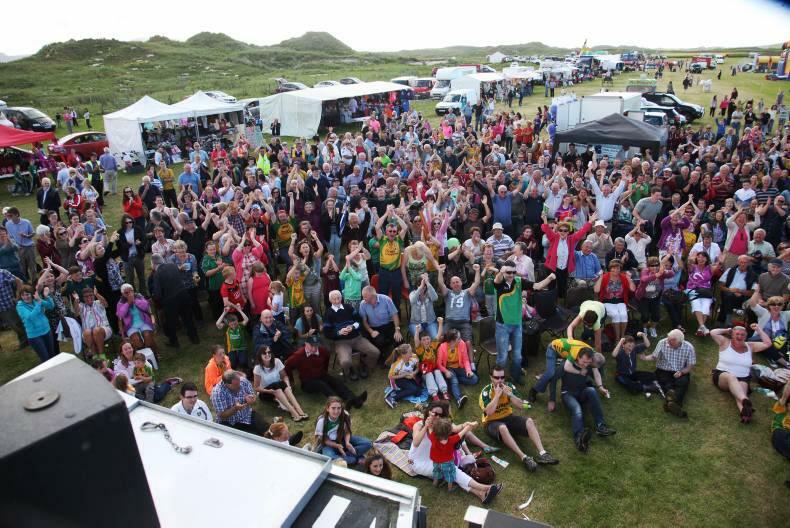 Also featuring at this year’s show will be a display by the Mid-West Donegal Vintage Club, the popular fun dog show, children’s sports, birds of prey, a funfair, penalty kick competition, tug-of-war and trade stands. The event will be opened by Father Moore of the Church of the Holy Family, Ardara.